What do you get if you combine a skilled musician, traveling salesman, video game geek, and foodie? I don’t know either, but apparently the result can pass the L3 test. 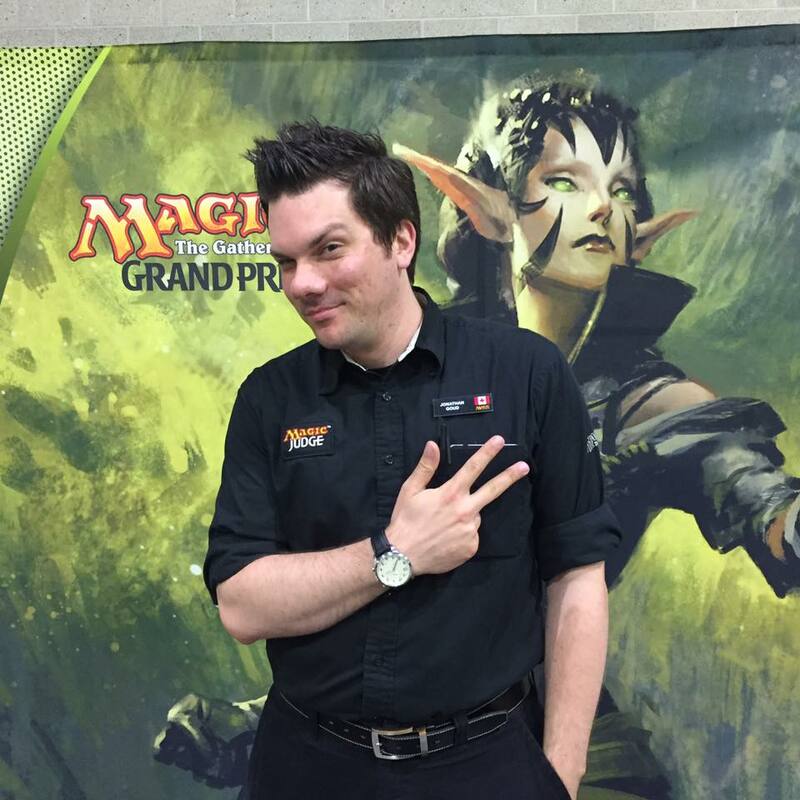 Jon has been the driving force behind the growth of the Maritimes’ magic community, both judges and players, for several years now. He travels relentlessly to help stores run their events and develop their own judges, leveraging such time-tested diplomatic tools as bad puns, late night pints of beer, and an innate knowledge of what makes people happy. He’s helped a number of Canadian peers on their own path to L3, and I’m looking forward to seeing what he does next. Congratulations Jon! You can congratulate Jon too on the Magic Judges Facebook page’s post for his promotion.